In 1846, Neptune was discovered in this way after French mathematician Urbain Le Verrier and British mathematician and astronomer John Couch Adams independently calculated the precise location of the planet by looking at orbital perturbations in Uranus’ orbit. The gravitational bulk of Neptune was intermittently tugging on Uranus, producing anomalies in its motion. Naturally, when Neptune was known, astronomers tried that trick again by precisely following Neptune’s orbit. Anomalies were found and the hunt for yet another as-yet-to-be-seen massive planet was on. This was the original hunt for Planet X. When Pluto was discovered in 1930 by US astronomer Clyde Tombaugh, it was thought the distant world was another massive planet. However, over the years, it became clear that Neptune’s orbital perturbations were down to observational error and Pluto was actually a planetary lightweight and could have no gravitational influence over Neptune’s orbit — a factor that contributed to its re-classification as a dwarf planet in 2006 by the International Astronomical Union (IAU). 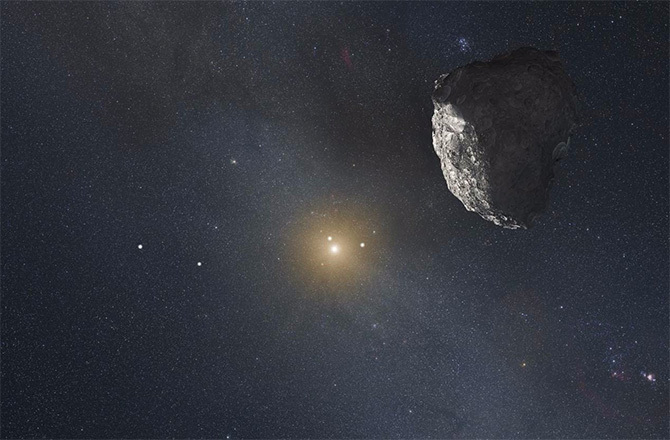 Although many more small objects have been discovered in the solar system’s hinterland (a region known as the Kuiper belt), evidence for a massive world has been wanting. The hunt for a massive Planet X pretty much ended with the discovery of Pluto. The deadly potential of such a hypothesis really got the doomsayer juices flowing in the run-up to the cringe-worthy theories that would culminate with the end of the Mayan “Long Count” calendar on Dec. 21, 2012. Profiteers and fame-hunting soothsayers concocted all kinds of doomsday scenarios that would happen on that day. One of them being the nonsensical notion that Planet X (or the even more farcical “Niburu”) was rampaging through the solar system to, you guessed it, wipe out all life on Earth — either through a cometary barrage or solar firestorm. Good times. Needless to say, 2012 came and went and we’re still here. But this year, the Planet X hypothesis has made another comeback. This time, it’s not the punchline of a bad doomsday joke, it’s based on observations of the strange motion of objects in the outer solar system. In January, Caltech astronomer and prolific Kuiper belt object discoverer Mike Brown and colleague Konstantin Batygin announced the discovery of a group of small icy objects beyond the orbit of Pluto that appear to be traveling in the same direction and at the same orbital inclination. The likelihood of this happening by chance is slim, so Brown and Batygin believe that their motion is caused by the presence of another — currently unseen — planet in the outer solar system perhaps 10 times the mass of Earth, orbiting up to 1,000 times the sun-Earth distance. “When we found that, my jaw sort of hit the floor,” Brown said at the time. So there’s indirect evidence of the existence of a massive planet that may be big enough to perturb the orbits of a group of small objects in the Kuiper belt, but small and dim enough to evade detection by infrared and visible light surveys. Like the discovery of Neptune, perhaps Brown and Batygin’s calculations will guide astronomers to the precise location of the world — nicknamed “Planet Nine.” This is most certainly an exciting time for planetary discovery within our own solar system. According to Daniel Whitmire and John Matese, who, in 1985, co-wrote a featured article for Time magazine titled “Did Comets Kill the Dinosaurs? A Bold New Theory About Mass Extinctions,” have revisited their mass extinction theories and formed a link with the search for Planet Nine. By their reckoning, Earth is subject to major extinction events every 27 million years caused by a barrage of comets flung at Earth by the gravitational instabilities triggered by the eccentric orbit of a major planetary body like Planet Nine. As if a planetary bombardment wasn’t enough, more dislodged comets would disintegrate close to the sun in the inner solar system, creating clouds of debris that dim the sunlight, causing a global cooling event that speeds up the demise of life on Earth. Though an interesting idea, more work is needed, even if the hypothetical Planet Nine is discovered to be real. Although there is evidence of mass extinctions on Earth being linked with periods of comet/asteroid bombardments, the trigger isn’t necessarily the existence of a massive planet in the outer solar system. Previous studies have hinted that comet bombardment events coincide with the passage of the solar system through our galactic plane; it’s actually a dense band of dark matter that causes the cometary drama on cycles of around 26 million years or so. There’s also the nagging possibility that the apparent periodicity of extinction events and comet impacts may not be real. This research assumes that Planet Nine has a huge orbital period — it would need to pass through the Kuiper belt every 26 million years for this theory to hold water. In an interview with the MailOnline, Brown pointed out that the Planet Nine he is looking for most likely isn’t the Planet X Whitmire and Matese hopes it is.